Almost two months after the provincial election left the BC legislature hung, it looks like voters may have to go back to the polls. BC Liberals leader Christy Clark will face a test of confidence in the legislature on Thursday, when MLAs vote on the throne speech she tabled last week. It is widely expected the speech will not be passed, since the BC Liberals do not have a majority, and the BC NDP and BC Greens have pledged to vote against it. If Clark fails to get the throne speech passed, according to convention, she will be said to have lost the confidence of the house, and can no longer govern. On top of that, on Wednesday BC NDP leader John Horgan tabled an amendment which would explicitly make the failure to pass a throne speech a proof of non-confidence. That motion is expected to pass with the full support of the BC NDP and the BC Greens, therefore signing and sealing the BC Liberals’ assumed defeat. What happens next would be up to Lt.-Gov. Judith Guichon, the Queen’s representative in BC, who Clark would have to meet after that defeat. Guichon can then either dissolve the legislature prompting a new election, or she can ask BC NDP leader John Horgan to try to form the next BC government. Speaking to reporters on Wednesday afternoon, Clark conceded the BC Liberals would likely be toppled, and said that she would then have some advice for Guichon. “If she asks me do I think the legislature is working, or do I think that it can work, I’ve got to be honest,” said Clark. Clark said she had seen no evidence that the BC NDP and the BC Greens had the numbers needed to actually govern, and she would advise Guichon so. Faced with this advice, it is unclear what Guichon would choose to do – but she could choose to dissolve the legislature, prompting another election to settle the matter. The day of reckoning comes almost two months after the BC provincial election, which left the BC Liberals with 43 seats, the BC NDP with 41, and the BC Greens with 3. 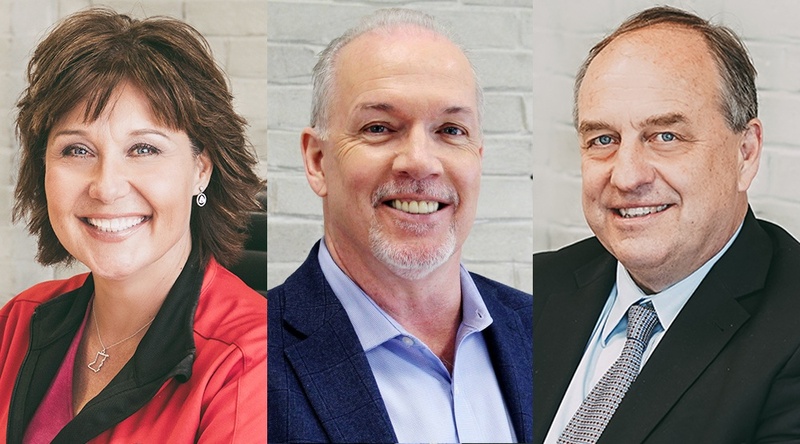 In the aftermath, the BC Greens negotiated with both the BC Liberals and the BC NDP to see if they could work with a party to support a minority government. Ultimately, BC Greens leader Andrew Weaver announced they had agreed to support a BC NDP minority government with Horgan. Meanwhile, Clark came under pressure to step down, after the final BC Election count confirmed no party had won the election. However, after the BC NDP and BC Greens announced their agreement, Clark came out fighting, saying she would not be resigning from her post as BC Premier. Instead, she said, she would be recalling the legislature to test the confidence of the house, by introducing a throne speech to see if it would pass. On June 12, Clark and her cabinet were sworn in by Guichon. Ten days later, last Thursday, she finally recalled the legislature and introduced her throne speech. The speech, which lays out the BC Liberals’ plans for government, borrowed heavily from what had been in the BC NDP and BC Green campaign platforms. 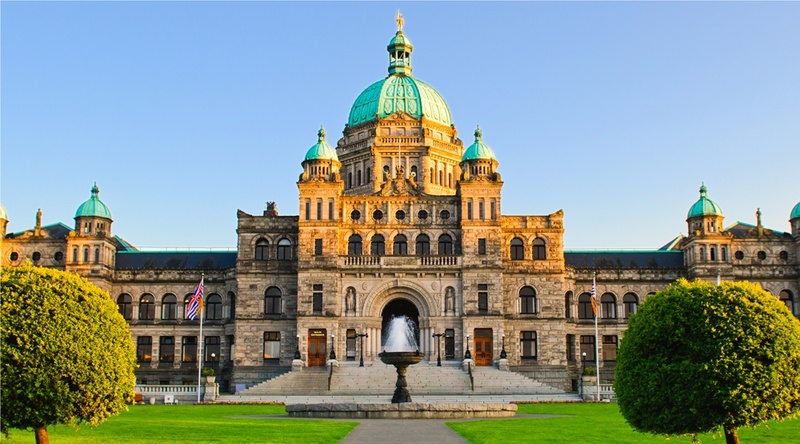 The legislature then adjourned until this Monday, when a variety of bills were introduced by the BC Liberals and voted down blind by the BC NDP and BC Greens. And then, finally, came the traditional period of debate on the throne speech, which traditionally lasts around four days. Much of that debate has been long speeches by the BC Liberals, punctuated by criticism from the BC NDP and BC Greens and attempts to get to a vote. Meanwhile, the BC Liberals have been accused of delaying democracy, while the BC NDP and BC Greens have been criticized for voting down BC Liberal bills sight unseen. Whether Clark’s latest announcement is a last ditch attempt to scare opposition MLAs into voting for her throne speech, to avoid an election, remains to be seen. And of course it’s not over, till it’s over. In the event of defeat, whatever Clark’s advice, Guichon could still ask Horgan to form the next BC government, with the support of Weaver. Horgan would then have to recall the legislature and attempt to pass his own throne speech or budget to see if he had the confidence of the house. If that passed, presumably with the support of the BC Greens, then Horgan would be the next BC premier and the BC NDP minority government would continue. After 16 years in power, the BC Liberals would be relegated to the Opposition, and Clark’s position as leader could look decidedly precarious.